When it comes to storing storm water, many construction locations face a challenge finding adequate space. There often is not sufficient space for a detention pond or detention basin. That’s where Timewell’s MaXflo underground detention systems become the ideal solution. With the ability to be placed anywhere from under a parking lot to a green area, Timewell’s design team can tailor a storm water detention system for any jobsite location. 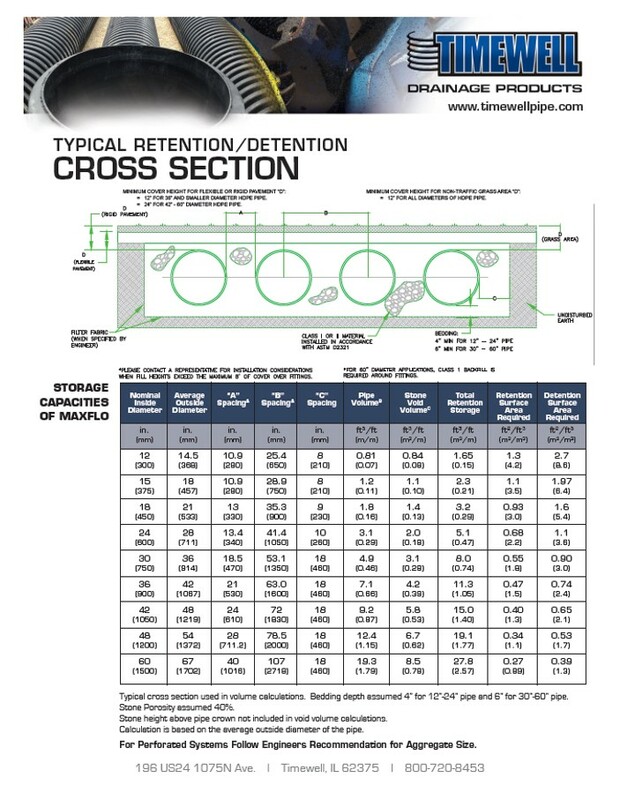 Timewell offers MaXflo HDPE detention systems as well as a full line of chamber-style detention systems. Underground detention systems allow project engineers and developers to maximize the use of available space in the most efficient manner while still providing adequate storm water storage capabilities. MAXFLO HDPE detention systems and chamber systems allow for an aesthetically pleasing and health-conscious method of storing storm water. Built using the durable MAXFLO HDPE pipe and fittings, Timewell’s Underground Detention Systems are highly efficient and provide a cost-effective way to store storm water. 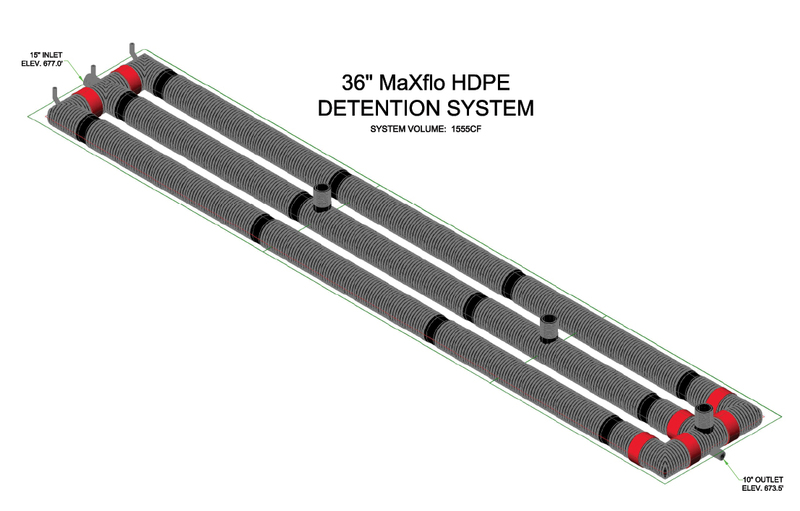 MaXflo detention systems (including perforated systems) are available in diameters up to 60” and maintain an AASHTO H-25 and HS-25 load rating. Optional HDPE access risers allow for easy man entry as well as clean out ports. Timewell’s Fitting and Fabrication Department fabricates headers for the detention system using unique combinations of MaXflo tees and elbows.